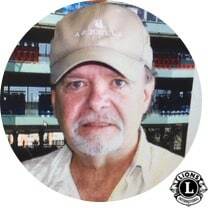 Here are some brief bios on some of our latest new members that we have signed into the Easton Lions Club since September of 2018. Jim grew up in Easton and went through our school system. He attained his Associate degree from Massasoit College. He lived in Colorado for ten years. His summer place is on West island in Fairhaven. He retired 4 months ago after working for Arbella Insurance for over 22 years as an IT Specialist. Jim enjoys photography, music, cooking, and golf. After being in Randolph for 27 years, Harris moved to Easton in 1996. He’s into antiques cars, audio visual and works at Bridgewater State University in their IT Group for audio visual technology. He is a member of Easton’s Cable Advisory Committee and our Easton Capital Planning Committee. Married to Tobi, they have two daughters, one a junior at OAHS and the other a sophomore at Bryant University. Joanne is a “Townie” born and raised in Easton (OAHS Class of ’72). “Joey” by nickname, she’s into embroidery and music. Joey spent 20 years as an engineer at Motorola and has 3 patents to her credit. She plays and teaches on mandolin, viola, guitar and ukulele. She plays pro bono at nursing homes and has a musical group called “Token Nickel”. Eric and his wife Rose grew up in our neighboring town of Brockvegas, City of Champions. They currently reside in Easton and their two beautiful daughters, who attend the Easton Middle School. Eric enjoys spending time with his family, playing music, swinging the golf club on occasion, and summer vacations up in Maine. After studying music at Rutgers University, his career took a turn into Food Service Distribution, where he is a Marketing/Merchandising professional. (pronounced “Gregory”) – Pete spent 40 years as a lineman with Brockton Edison (later Eastern Edison) and says his body reflects it. 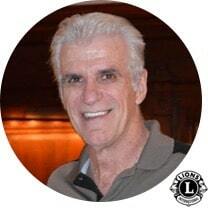 Doc Mudd’s great care keeps him showing up for Lion meetings. He enjoys deer hunting and deep sea fishing. He was married to Andrea, whom he lost a few years ago for 32 years and he has six children and six grandchildren. Now living in South Easton, Rich spent most of his life in Maine. But his heart has always been in his adopted home town. He is the 3rd Great Grandson of Dr. Asahel Smith, after whom the Smith Farm House at Borderland State park is named. Rich is a cancer survivor and big into genealogy (family history particularly) and gardening. A Dorchester guy, born and raised. He retired ten years ago from the MBTA and is now working with FEMA. He’s on the road a lot, currently in Virginia. He follows disaster around the country and his specialty is helping towns put their roads back into repair after natural disaster damage. His hobbies are golf, travel and he’s a management specialist. Rick is leader of Scout Troop 42 with whom the Easton Lions have worked on several projects in the past. – Born in Rhode Island he has lived in Easton for over 20 years. He loves this town. He has a Masters in computer science and is a software architect at Oracle Corp. Rick is an outdoorsman and does salt water fishing, cooking and back pack hiking all year round. Born and raised in New Hampshire, John served 5 years behind the Iron Curtain (Army) in Berlin. He has 3 offspring and 2 adorable grandsons. He’s a commercially rated pilot and holds a flight instructor certificate. Retiring in 2017 from a career in technology (telecommunications) he’s an outdoors-man and enjoys playing with his grand kids, hiking, gardening, woodworking and flying.